MORE OF WHAT YOU'RE LOOKING FOR. Our exclusive global network of luxury real estate companies throughout a variety of coveted locations worldwide possess the highest local knowledge and are best equipped to maximise the exposure of your property to both a local and global market and to create a resonating impact attracting the highest calibre of buyers. Utilising leading-edge technology and multiple media channels, the Luxury Property Selection experience is a step up from traditional real estate marketing. to get the maximum price for your property. Personalised and targeted luxury specific marketing plans. Luxury Property Selection magazine is an exceptional publication showcasing luxury properties for sale from around the world. 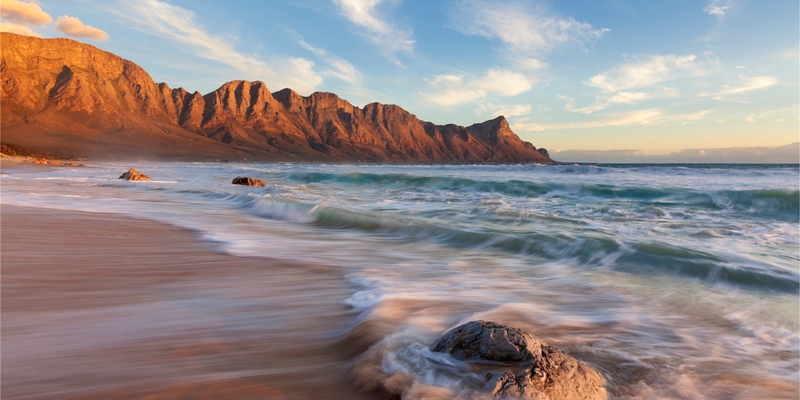 Our print and online distribution channels ensure we are achieving maximum exposure to a high net worth demographic in both our local and international markets. In today’s real estate market our international buyers want the latest listings hot off the press. The growth of our online database has been vital in reaching our ‘in the now’ demographic of buyers in real time. to high end individuals and premium purchasers. In the digital world is where Luxury Property Selection comes into its own, with an array of options that will reach all purchasers. 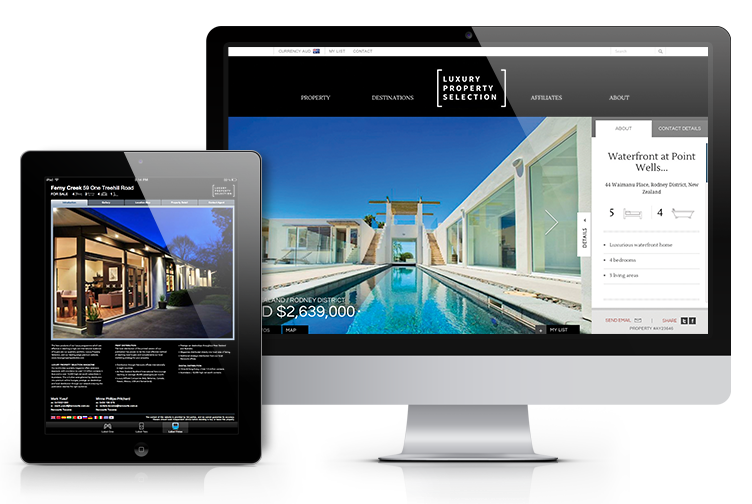 The Luxury Property Selection website offers an industry- unique way to browse for properties online. Key details and features highlighted to encourage enquiry. Large format, wide screen display. Full integration with social media portals. Boost your exposure on the Luxury Property Selection website by upgrading your listing to a home page tile. A powerful and affordable way to promote a property is to place an advert at the top of specific keyword phrases in Google. Utilising a digital marketing campaign will give the property the huge benefit of being in front of people who are actively searching for a property in that area. 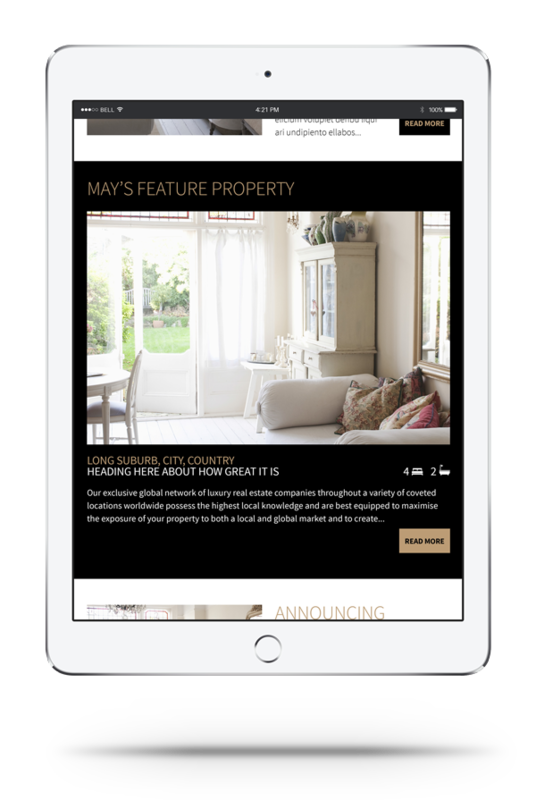 We offer Luxury Property Selection branded templates for an additional luxury profile, and all full pages booked will have access to the Luxury Property Selection headers and footers. 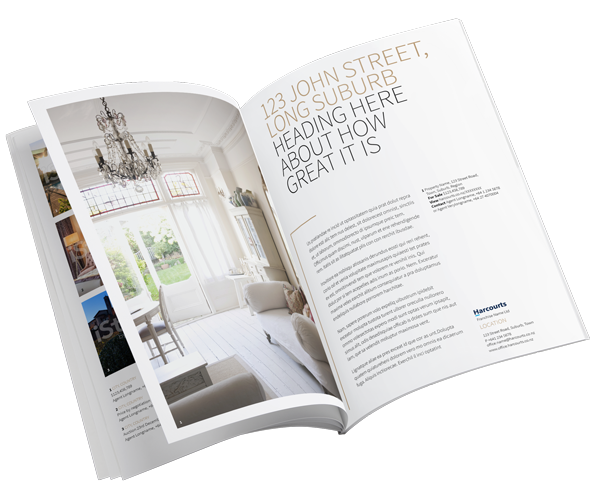 Your marketing investment into Luxury Property Selection includes access to a wide range of premium property marketing material in which we can showcase your property in your local market. Our Luxury Property Selection international media kit provides global marketing options for sellers, both print and online, opening your property up to new buyers and investors from all over the world. Our bi-monthly, luxury eNewsletter provides a channel to market all new listings to our global and local databases. This ensures exposure of your property to over 500 luxury real estate brokerages, the Harcourts International network and local databases of high net worth individuals and active premium purchasers. Special feature advertising can be booked in these eNewsletters.